Hunting season is almost here in Montana and Schnee’s & Schnee’s Powder Horn Outfitters have everything that you need to prepare for success this season. Visit us online or stop by our Bozeman retail stores to get setup with the finest in outdoor footwear, clothing, gear and accessories. Beginning Thursday August 25th, Schnee’s Powder Horn Outfitters in historic downtown Bozeman will be kicking off a 4-Day Pre-Hunting Season Event. The excitement starts Thursday night with a fun filled evening of elk calling with World Champion elk caller and TV Personality Chad Schearer. Chad will be passing along his knowledge and time-honed skills in-store from 6:30-8 PM for this family friendly event. Chad will be sharing tips and fist hand experience to help make calling a more successful part of your hunt, you do not want to miss this event! 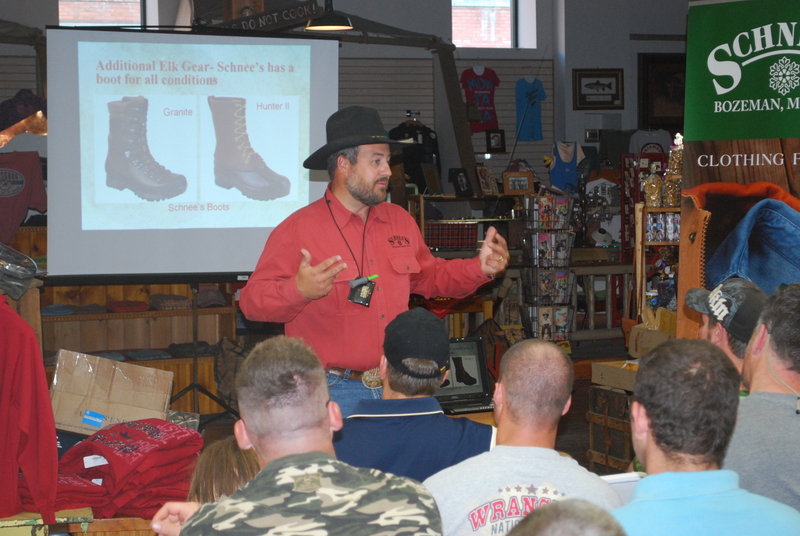 During this event Schnee’s will be offering some exclusive in-store specials on all of their premium outdoor footwear with plenty of Schnee’s expert boot-fitters on hand to answer questions and properly fit you into your next hunting boot! 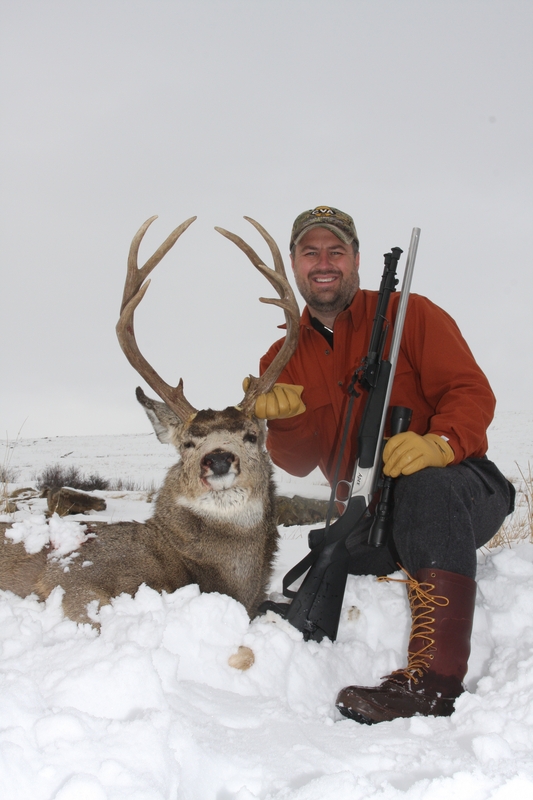 Aside from being a licensed Montana Outfitter & Guide, multi-award winning elk caller and hosting his popular television show Shoot Straight with Chad Schearer with his family on The Sportsman’s Channel, Chad is also a highly sought after outdoor speaker and lecturer. Don’t miss out on this great opportunity to learn from the best during this exclusive workshop brought to you by Chad Schearer and Schnee’s. 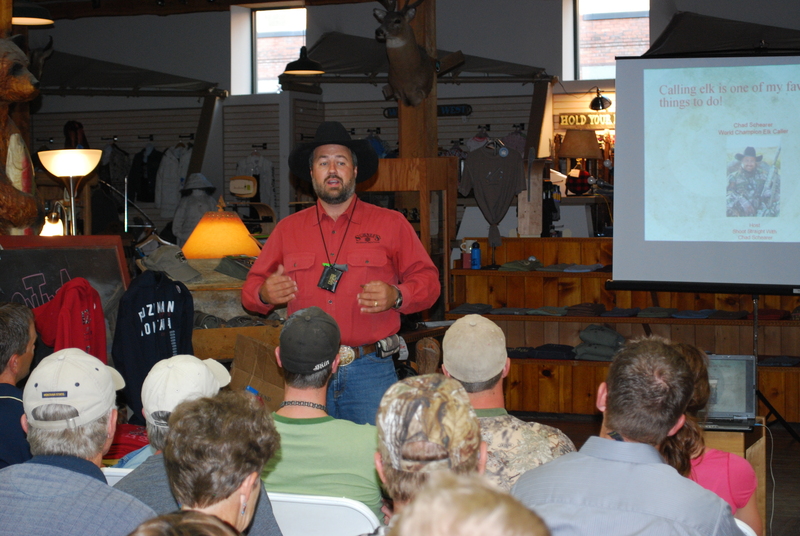 On Friday and Saturday, Sitka Gear Tech Rep Ron Thomas will be in-store to answer questions and offer his extensive hunting clothing product knowledge. Sitka Gear is the leading innovator in technical outdoor hunting apparel and gear and all of their fine products are available in-store and online at www.schnees.com. Saturday will also bring local Bozemanite Mark Matheny (founder of UDAP) to the Powder Horn to talk with customers about Bear Safety and answer questions about UDAP’s full-line of Pepper Power defense sprays. Don’t miss this exciting 4-day event! Stop by and visit us at the Powder Horn for exclusive in-store specials, prize drawings and more! We hope to see you there! 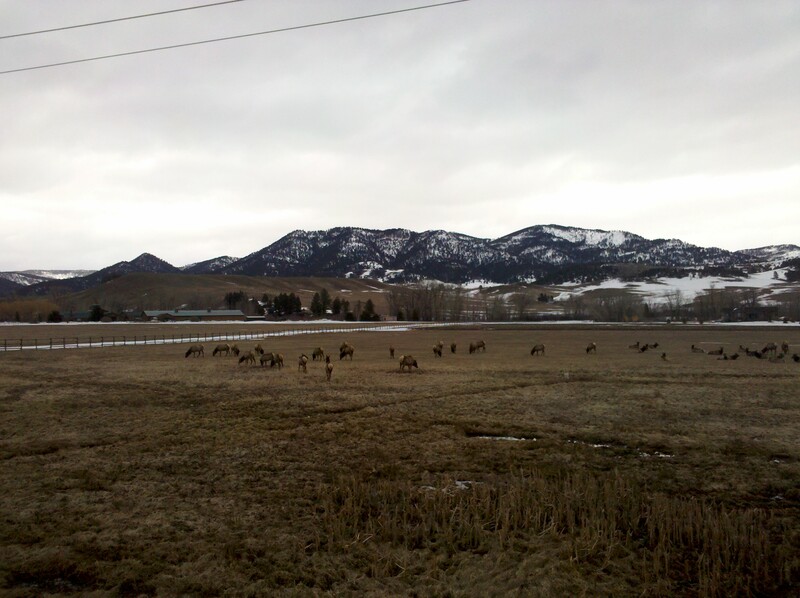 With the month of March drawing to a close, we’re seeing more deer and elk emerge seemingly daily. We have had a pretty tough winter in Montana this year, and we will be hoping winter kill figures are not too severe. On the other hand, our snowpack is good and water levels should be too, which in general is positive for our fish and wildlife populations. 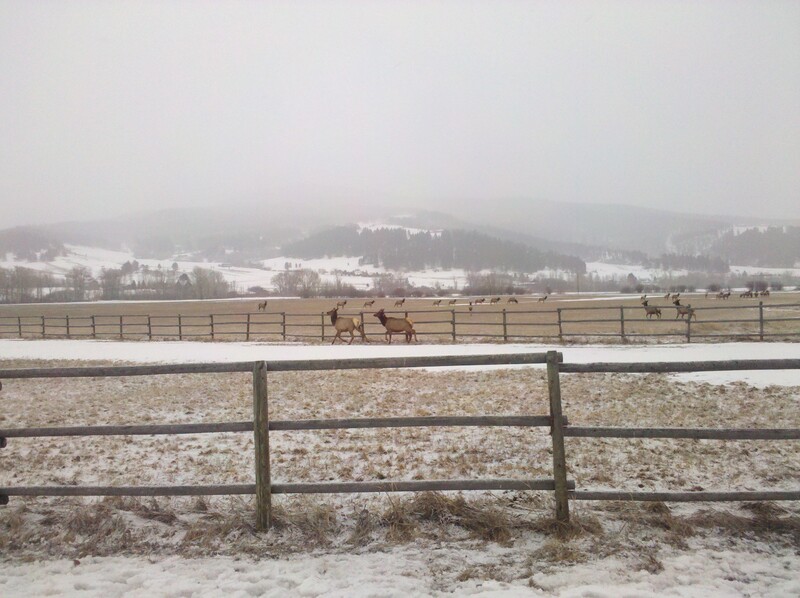 Here are a few elk in winter range, the snowy photo and the herd bedded are the same herd in basically the same spot on the same day, snow fall in the morning and mostly burned off by the evening. Nice to see a pretty respectable population in this area again this spring, as wolves have just recently arrived in this particular region and, as we all know, they will begin to take their toll on this herd, as with any, if the wolves are not properly managed. This great letter came to us from long time Schnee’s customer Larry R. in Nevada. Thanks Larry, it sounds like this was a pretty intense hunt! 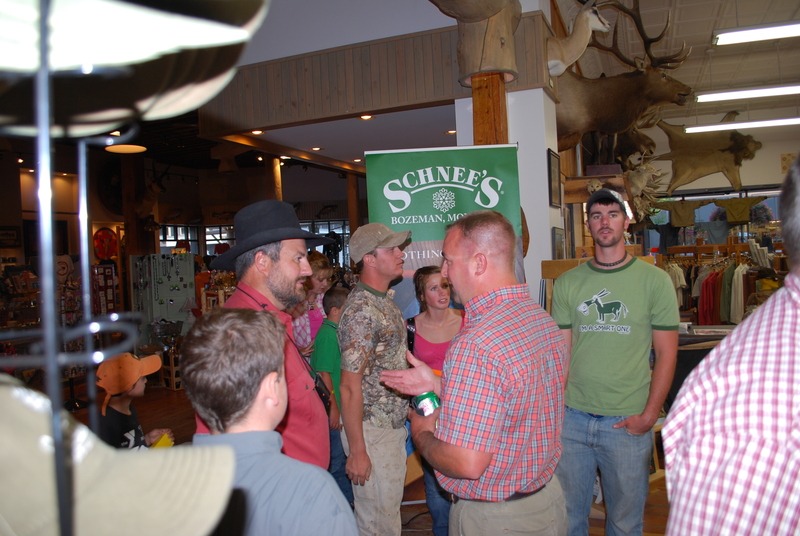 We were happy to hear that your Schnee’s boots were there to keep you going on this memorable hunt! My son Brad and I were on a cow elk hunt in eastern Nevada. A freak snow storm hit the area, but the elk were there. After an ugly encounter with snow covered rocks, the four wheel drive on my expeditions failed. 30 Dec 10 – 0700, calf deep snow, 0 degrees, we press on. 1230, thigh deep snow, 5 degrees, elk tracks! 1300, fresh bedding/feeding area, the hunt is on! 1400, long shot missed, in hot pursuit. Waist deep snow, -5 degrees. 1430, large cow elk down, sun setting, -10 degrees. food frozen, meat on our backs frozen. Our bodies begin to chill. By Rob Stiehl. Rob is the marketing director at Schnee’s and previously worked as an assistant retail manager & outdoor footwear buyer for Schnee’s. Rob is an avid outdoorsman in his free time. For many people, the process of researching and selecting a new pair of technical footwear can seem quite daunting. Whether you are looking for a pair of trail runners, a new light hiker, or a new mountain hunting boot, there are a few steps that can be taken to simplify this process and help to ensure that you are purchasing the right piece of footwear to make your outdoor adventures more enjoyable. Although a sturdy trail-running shoe will often be supportive enough to handle some light hiking on the side, this is not what the shoe is designed for and may result in the shoe wearing out more quickly than normal. Similarly, a burly all-leather backpacking boot can be extremely durable and amazingly supportive when carrying heavy loads, but the increased weight and medium to low flexibility associated with these boots can make them slightly less comfortable on light trails or when you are trying to cover ground at a faster pace. Once you have decided on which category of footwear you are primarily interested in, the fitting process can begin. This is the most important step when buying technical footwear, and should be performed by someone well trained in boot fitting. Ideally, you want to have both feet measured and evaluated on a Brannock Device. However, Schnee’s Customer Service boot specialists can help you with the process online or over the phone at 1-800-922-1562. Most people have slight variances in the length, width, or shape of their feet, and this is important information for both you and the boot fitter to know to achieve the best possible fit. Also, be sure to have your foot measured with a quality performance sock in the proper weight or thickness that you would normally wear with the footwear you have chosen. Step 3 – Not too tight! When fitting technical footwear, one of the most important things to consider is getting the proper length inside the shoe or boot. Roughly an extra half-inch of space is crucial in order to protect your feet from bruising and blistering, and to accommodate any swelling that may take place. To check the length in footwear with a hard toe such as hiking boots, stand in the unlaced boot and gently tap your foot towards the front until your longest toe is just touching the front of the boot. You should now be able to easily fit your index finger directly behind your heel in the boot. This ensures that you have a “finger’s width” in the front of the boot to protect your toes while descending and this will also reduce pressure and friction on the heel when ascending. As for the fit in the rest of the boot, you should be looking for a snug (not tight!) and secure fit from the heel of foot to the ball of the foot, and a slightly roomier fit in the toe box that will provide some wiggle room for your toes. Now you can lace up the boots firmly and evenly, and test them on an incline board or ramp if one is available. If an incline board is not available, it is recommended that you wear the footwear on the carpet at home for a couple hours in the evening before wearing them outside. This will help to identify any tight spots or pressure points that should be addressed before taking your new investment to the trailhead. Selecting the right sock for an activity can be about as complicated as finding the right footwear. Socks can be made from natural fibers such as wool or silk, or from synthetic materials such as acrylic or nylon blends. Socks also come in an array of thicknesses from ultra light to extremely heavy to accommodate different activities and climates. Modern wool socks (such as Merino Wool SmartWool socks) are more comfortable than the wool socks of the past. Today, most wool socks are designed to be itch-free and washing machine safe. Unlike cotton or some synthetic materials, wool is extremely efficient at pulling moisture away from the foot while retaining its insulating properties despite being wet or dry. Wool works well in Gore-Tex® lined footwear and solid leather footwear because of wool’s ability to wick moisture at a slightly slower rate than synthetic materials, resulting in less moisture buildup inside of your footwear. One downside to wool socks is that it takes a bit longer for them to dry when compared to wet synthetic materials—frustrating when washing your socks in a backcountry stream or lake. Synthetic socks are typically constructed from materials such as polyester, nylon, or acrylics that are very hydrophobic. These materials repel or “wick” moisture away from the foot at a very high rate, and absorb very little residual moisture from the foot. Synthetic socks are best suited for high activity use (i.e. trail running) and should be used with highly breathable footwear that will allow moisture to evaporate quickly. If you prefer using synthetic socks and are looking for one to use with Gore-Tex® or all-leather boots, try to find a sock that is a synthetic/wool blend such as the Thorlo Mountain Climbing Sock designed to move moisture at a slower rate in order to maximize the efficiency of the Gore-Tex® boot liner. Aftermarket footbeds are an excellent addition to any type of footwear. Often referred to as “insoles”, performance footbeds can be used to increase the support or cushion of a shoe, and can greatly improve the fit of most shoes and boots. Many footwear companies utilize inexpensive, generic footbeds that are often made from lightweight EVA foam that will compress and wear out relatively quickly. Performance footbeds are typically constructed of a dense synthetic foam top layer that is reinforced through the arch with a sturdy nylon or plastic frame for increased support and durability. Superfeet® is a premium manufacturer of aftermarket performance footbeds. Superfeet® offers a range of models that will add support and improve the fit of your footwear whether it’s a western boot, a hiking boot, or a ski boot. For most outdoor footwear applications, you will first need to remove the stock footbed from your footwear. Once you have removed the existing footbed, you can now use it as a template to trim your replacement footbed to fit your new footwear. Now that you have found the perfect pair of boots or shoes and have been properly fit, you will want to take a few steps to protect your new purchase for trail ahead. In order to maximize the life of your new footwear, proper (and regular) cleaning and conditioning is a must. Under normal wear, boots will collect dirt, grit and mud along seams and folds of the tongue as well as inside the boot. Boots do not necessarily need to be cleaned or conditioned after every hike (unless they become extremely muddy or wet), but removing excess dirt and mud will vastly improve the life of the leather and stitching. To clean your footwear, start with an approved footwear cleaner or a small dish of warm water with a few drops of regular dish soap and a small soft bristle brush (old potato brushes or toothbrushes work great). Remove as much excess mud or buildup on the boots before cleaning the boots over a sink. Remove the laces and footbed from the boots and begin to gently scrub your footwear with a brush and cleaner paying special attention to seams and the tongue folds. It is also fine to partially fill the inside of the boot with water and gently swash around to remove any interior grit. Once you footwear is clean, it is important to allow the boots to dry naturally at room temperature or with an electric boot dryer (do not place wet footwear in direct sunlight or in front of a stove or heater to dry!). After the boots have had a chance to fully dry, you will want to apply the appropriate conditioner/waterproofing to your footwear. Following these steps will ensure that you get the maximum life expectancy out of your new footwear! With the General Big Game season underway here in Montana and much of the west, thousands of residents and non-residents are heading into the mountains in hopes of filling a tag or two. Whether you plan on heading out into the mountains on your own or with the service of a qualified outfitter, be sure to visit Schnee’s for all of the backcountry essentials before your next hunt! 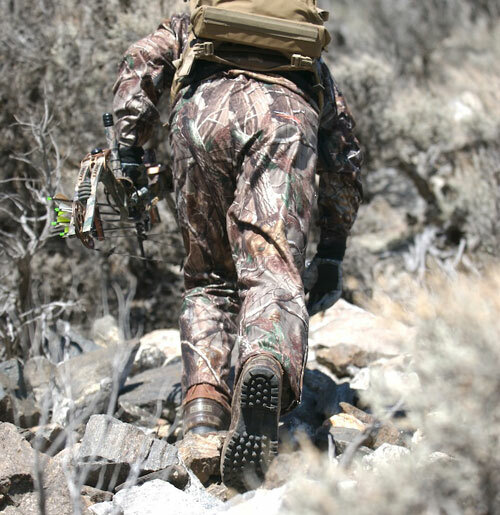 Traversing the Rockies in search of big game requires footwear that will provide the proper amount of support, traction and protection to tackle the rugged terrain found across the western US. This may include side-hilling on slippery shale, crossing mountain streams or post-holing through thigh deep snow to get to where your quarry is. Schnee’s Hunter II series of boots have been the go-to choice of boots for outfitters, guides and sportsmen taking to the mountains every fall for over 23 years. Designed for comfort and built to last, the Hunter II is available in 10”, 13” and 16” heights and features Schnee’s exclusive Advantage™ rubber outsole for maximum traction in any condition. During your hunt, stay comfortable whether you are in the saddle, around camp or on the mountain with the Schnee’s Rifleman’s Shirt™. Introduced into the Schnee’s line last Fall, the Rifleman’s Shirt™ has quickly become a favorite among western sportsmen. Combining the fit, feel and warmth of fine wool with the wicking and drying properties of a synthetic, the Rifleman’s Shirt is sure to become your favorite. Available in 4 heathered colors and beautifully trimmed with a genuine leather collar stand and leather button holes on the front pockets, the Rifleman’s Shirt™ also features a generous bi-swing back for a comfortable range of motion. Finally, don’t forget the little things. 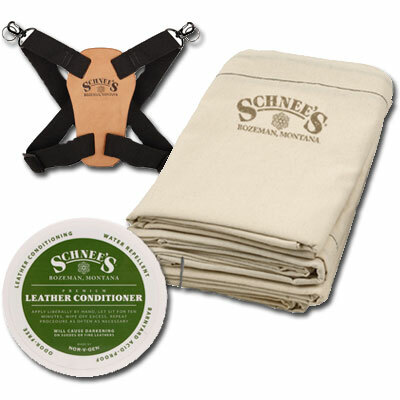 Schnee’s carries a wide assortment of invaluable accessories for your hunting season. From premium leather conditioner, canvas quarter bags and binocular suspenders to custom made hunting knives, Schnee’s has you covered. Before you set out on your next hunting hunting adventure, let the experts at Schnee’s help you prepare for the hunt of a lifetime. All of these great products can be found by visiting our retail stores in historic downtown Bozeman or online at www.schnees.com. 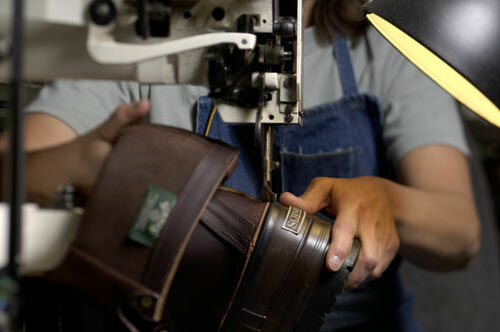 For over 23 years, Schnee’s has been manufacturing their legendary line of Schnee’s Pac Boots right here in the mountains of Montana. 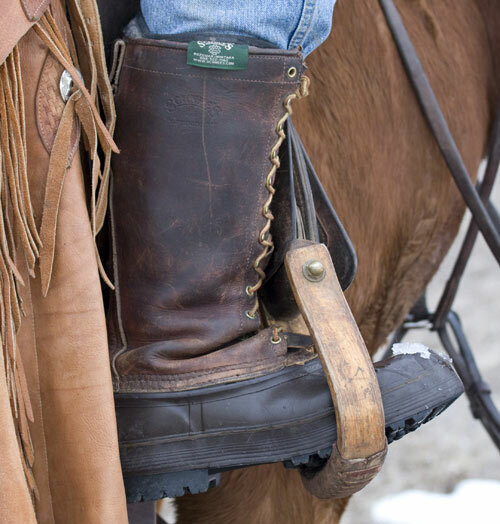 Created out of necessity for a product that just didn’t exist, the Schnee Pac has become the boot of choice for sportsmen, ranchers and outdoor enthusiasts from the Rocky Mountains to the Adirondacks. Beginning with premium hand-selected US leather hides, the boot upper is cut and crafted to provide optimal fit and maximum support surrounding your ankle and calf. 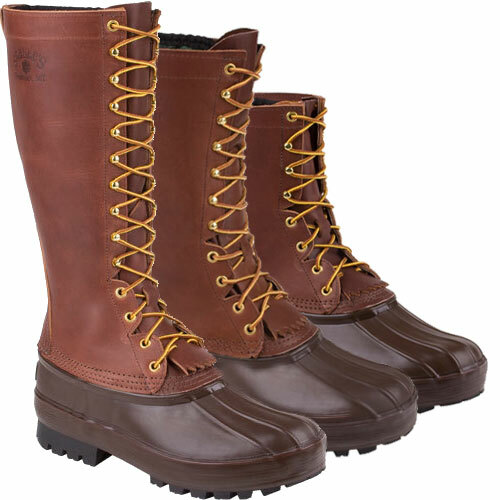 Many boot manufacturers us a generic “stove-pipe” upper design which results in poor fit and uncomfortable flexing and bunching, Schnee’s insists upon using a “split” backstay design and signature flex-notches for an improved fit and minimal bunching. Schnee’s rubber bottoms are crafted from hand-laid pieces of real rubber and vulcanized for rugged, waterproof support. Our rubber bottoms also feature thermal plastic heel counters as well as steel shanks to provide the fit and support of an all-leather boot as well as a cushioned inner sole for added comfort. Most of our boots are also offered in your choice of a Tire Tread outsole which is great for shedding mud and snow or Schnee’s exclusive air-bob Advantage™ outsole for maximum traction in any condition. 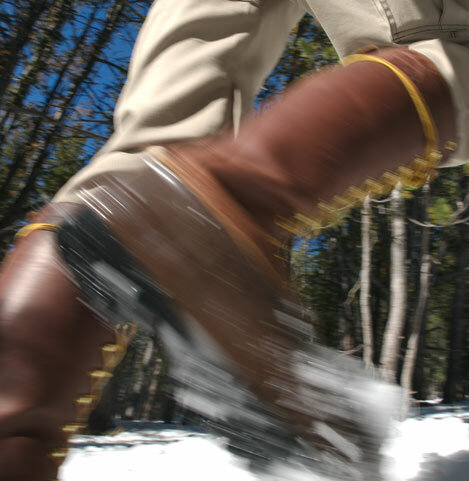 Schnee’s Pac Boots are available in Insulated and Uninsulated models for year-round use. Our insulated boots feature removable quilted liners that utilize a three layer construction for optimum combination of warmth and moisture-wicking comfort. The inside of the liner is made from a durable layer of Cambrelle to help pull moisture away from your feet. The middle layer of the liner holds a layer of 400 gram Thinsulate™ Insulation for significant warmth without any unnecessary bulk. The outer layer of the liner is made from 3mm of wool felt which creates an added layer of warmth and moisture wicking comfort. 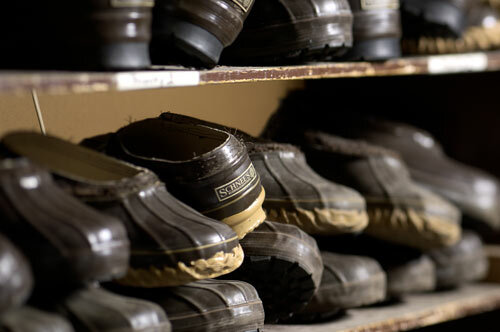 Schnee’s Pac Boots are built to withstand the rigor of everyday wear and to fulfill the demands of the hardworking and harder playing customers that wear them. All Schnee’s boots are rebuildable for years (even decades!) of use, and like all Schnee’s products they are backed by our 100% Satisfaction Guarantee. As the fall air cools and winter begins to slip in, now is a great time to look for that perfect boot. Whether you’re running errands in town, handling chores on the ranch or headed into the mountains in search of that trophy elk, Schnee’s has the right boot to fulfill your needs!